1. Who is this service for and what is Home Intensive Care Nursing? INTENSIVE CARE AT HOME™ provides specialised Intensive home care nursing services for long- term mechanically ventilated Adults& Paediatrics with Tracheostomy and their families. Our Customers may either live in the community already with insufficient or no professional support or they may still be in Intensive Care in a hospital. Home Intensive Care Nursing is high level Nursing Care for long-term ventilated Adults& Children with Tracheostomy provided by highly skilled Critical Care Nurses that require around the clock specialised nursing care, usually for life-threatening illnesses, provided outside of a Critical Care or Intensive Care(ICU) environment. Those ventilated Adults& Children able to be transferred home from Intensive Care, tend to be medically stable and constant monitoring by medical staff is unnecessary and no longer needed, as the issues tend to be around the ongoing ventilator dependency with Tracheostomy and on around achieving a better Quality of Life. 24/7 or around the clock Critical Care Nursing staff can Monitor those Adults& Children around the clock, as a life threatening situation may occur anytime, due to the ongoing ventilator dependency with Tracheostomy and due to other underlying medical issues that brought your loved one into Intensive Care in the first place. Usually long-term ventilated Adults& Children with Tracheostomy require ongoing high level nursing care. We also provide Quality of Life services for Adults& Children requiring Tracheostomy Care(non-ventilator dependent) and Adults& Children requiring Non-invasive mask ventilation such as CPAP and BIPAP and/or ongoing High-flow oxygen therapy. INTENSIVE CARE AT HOME is well known to facilitate early discharge out of Intensive Care helps our Customers and their families to have Quality of life outside of Intensive Care and/or outside of a Hospital environment. For more details about our service offerings check out our SERVICE page. 2. Who needs Home Intensive Care Nursing? 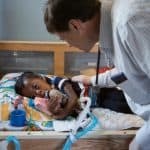 Adults& Children who suffer from progressive neurological or respiratory diseases that tend to have life threatening disturbances of their respiratory system may need and also may profit from Home Intensive Care Nursing. Those Adults& Children tend to be fully or partially ventilator dependent and they usually have a Tracheostomy. Those ventilator dependent and/or Tracheostomy dependent Adults& Children usually require regular management of their airway(Ventilation& Tracheostomy). This requires regular dressing changes, inner cannula changes and regular clearing of secretions(suctioning) via the Tracheostomy. The list is not complete and other clinical pictures may require ongoing mechanical ventilation with Tracheostomy as well. · 3. What does long- term mechanical Ventilation with Tracheostomy mean? Long- term mechanical Ventilation with Tracheostomy, is usually a medical condition, caused by varying and differing factors. The long- term dependency on mechanical ventilation may be caused by spinal injuries, neuromuscular diseases such as MS, Guillan Barre, respiratory diseases such as Asthma, COPD, Emphysema or post- lung Transplant. 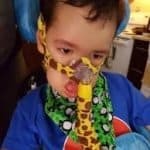 It may also be the case that you or you loved one, has gone through multiple failed weaning attempts off a mechanical ventilator with a Tracheostomy. It could also mean that a critically ill Patient who is ventilator dependent with Tracheostomy may approach their end of life in Intensive Care, but instead wishes to have a better Quality of-end-of-life at home, rather than in Intensive Care. 4. Is INTENSIVE CARE AT HOME™\'s service a genuine alternative to a hospital ICU? INTENSIVE CARE AT HOME™'s prides itself to offer a genuine alternative to a niche segment within Intensive Care. 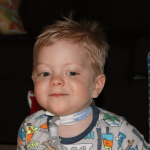 Our service is designed for a niche segment within Intensive Care, long- term mechanically ventilated Adults& Children with Tracheostomy and their families. Our holistic care model is based on successful Intensive Home Care nursing models that have been successfully operating in many European countries for more than 15 years and the founder and Director of INTENSIVE CARE AT HOME has gained "hands on" experience in this niche segment in Germany, before launching a similar service in Australia, after many years of working in Intensive Care in Australia. 5. Can your service really improve my Quality of Life if I, or my loved one requires ongoing mechanical Ventilation with Tracheostomy? INTENSIVE CARE AT HOME™ strongly believes that a long- term mechanically ventilated Patient with Tracheostomy in Intensive Care in a hospital has very little or no Quality of life. This is partly due to the ongoing ventilator dependency, but it is also due to the fact that activities, privacy and dignity are limited in an Intensive Care environment. Decision making is usually left up to the multidisciplinary team in Intensive Care and you and your loved one are left with little or no impact on the decision making process. INTENSIVE CARE AT HOME™ takes a different approach and is looking at a Customers' individual goals and capabilities. We do not limit our Customers to a Hospital environment. We also look at, and believe in opportunities and possibilities. We do not limit the Customer to an Intensive Care environment, since we have the skills, expertise and a "can-do" approach to improve your Quality of life and/or your Quality-of-end-of life outside of Intensive Care. We also know from experience that being a long- term Patient in ICU not only impacts on a Patient's but also on their Families Quality of life. We have witnessed many Family members being extremely stressed when a loved family member requires ongoing ICU treatment or is facing end- of -life in Intensive Care. For Families this very often means spending days and nights in Intensive Care to be with their loved ones and it often means neglecting their family and sometimes professional life and that in some instances could prove detrimental to your income situation. Our service helps to get your life back on track. 6. Can your services also improve my or my loved one's Quality of-end-of-life whilst requiring mechanical ventilation with Tracheostomy? INTENSIVE CARE AT HOME™ knows that a long- term mechanically ventilated Patient with Tracheostomy in Intensive Care in a hospital has very little Quality of end-of- life. 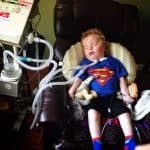 This is partly due to the ongoing ventilator dependency, but it is also due to the fact that privacy and dignity are limited and very often there are time and resource constraints in an Intensive Care environment. Those time and resource constraints can be due to the clinical facts and the clinical picture, but sometimes time constraints may be presented to you as a "clinical fact", whereas in reality there are other pressures that some Intensive Care Units are dealing with, I.e. the need to free up scarce resources quickly. That means in some instances the people in charge in the Intensive Care environment may present you and your loved one with some very disturbing and confronting facts and news- for example that treatment might have to be withdrawn in a very short period of time and that therefore death is imminent. In some instances this may be the right approach, however in other instances, this very confronting, disturbing and bleak scenario might be a direct result of bed management and resource management pressures in a hospital. In some of those instances you, your Family and your loved one, might be overwhelmed by the news you have just learned and you may find yourself not being ready to let your loved one die. You may also wonder whether death in Intensive Care is the only option, as for the multidisciplinary team in Intensive Care, it is currently the only perceived option. Nobody wants to die and nobody wants to die in a sterile hospital environment and in fact some surveys have shown that most people, if given the option, would elect to approach their end-of-life at home with dignity, privacy and peace of mind surrounded by their family. INTENSIVE CARE AT HOME™'s staff, after many years of Intensive Care Nursing experience, have witnessed and have been involved in many end-of-life care situations, where Patients are slowly or sometimes rapidly approaching their end-of-life in Intensive Care on a ventilator with Tracheostomy, with very little dignity, very little privacy and without any peace of mind. INTENSIVE CARE AT HOME™ believes that with our holistic service approach and service design, Quality of-end-of-life for your loved one and for your Family can be restored, whilst being at home in a dignified and private environment and whilst having peace of mind. 7. How does your service manage and minimise the risk of caring for somebody on a Ventilator at home? In order to manage and minimise the risk when providing holistic home Intensive care nursing for Adults& Children requiring ongoing mechanical ventilation, INTENSIVE CARE AT HOME™ has developed a Quality Manual, Quality Policies and a documentation system, which is based on ISO9001/ 2008 and the 5 Core Standards for Safety and Quality in Australian Healthcare. Our Quality Manual, Quality Policies and documentation system supports our Strategy of providing Quality of Life and/or Quality of-end-of-life and most of our Policies and Procedures are based on Clinical Policies, but have been redesigned for a home care environment and they are Customer focused. Furthermore, INTENSIVE CARE AT HOME™ only provides services with Registered Nurses who have a minimum of 18 months recent Clinical ICU experience and/or who have completed a Post-graduate Critical Care Certificate or equivalent. This gives INTENSIVE CARE AT HOME™ the scope, the framework, the skills, the experience and the mindset needed, to live up to our promises. · 8. Who organises equipment for a Customer requiring long- term mechanical ventilation with Tracheostomy? INTENSIVE CARE AT HOME™ developed strong partnerships with equipment suppliers and is in a position to organise continuous equipment flow for you or for your loved Family member. 9. Who pays for the service and how much does it cost? Our services are priced at a competitive level and our prices are positioned to save costs and resources for Public and Private Intensive Care Units. Intensive Care is one of the most expensive areas in a Hospital and therefore a cost reduction, freeing up of beds and resources, whilst also providing Quality of Life for long-term ventilated Adults& Children with Tracheostomy and their Families in their own home is in the best interest of all parties involved in the care model, including health services funding agencies, hospitals and the Deprtment of health and ageing. It is in the best interest for Intensive Care Units, Hospitals and Private Health funds to create choice for long-term ventilated Adults& Children with Tracheostomy and their Families and save costs. 10. Does this mean we have non- family members in our home 24 hours a day?